Drifting, jumping, spin turns, and more. 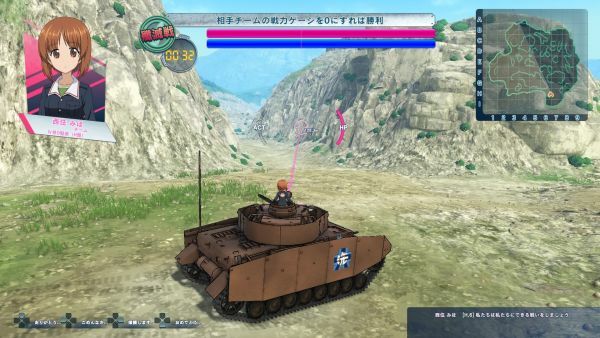 Bandai Namco has released new information and screenshots of Girls und Panzer: Dream Tank Match detailing the game’s “Battle Mode,” decal customization, and tank actions. What is your goal? A wonderful prize? Money? Recognition? Or something else…? 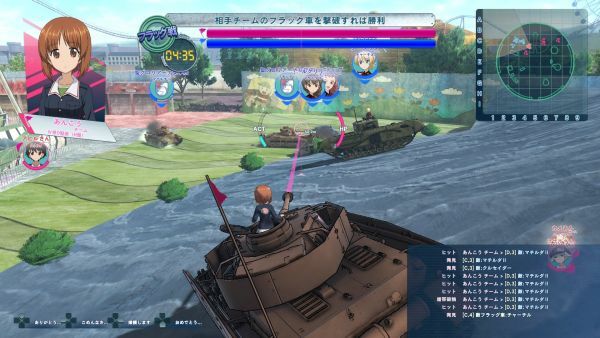 Battle Mode is a five-match tournament where the expectations of each school’s collide in battle! 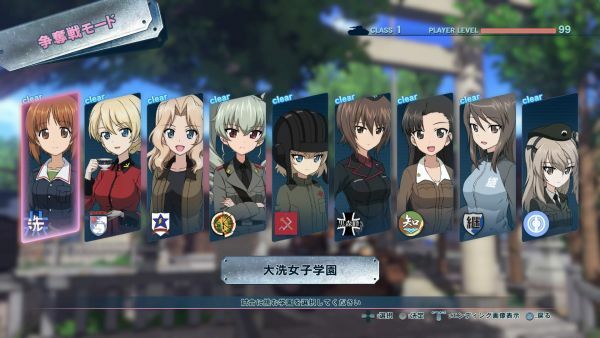 —In Battle Mode, you can enjoy original conversations. 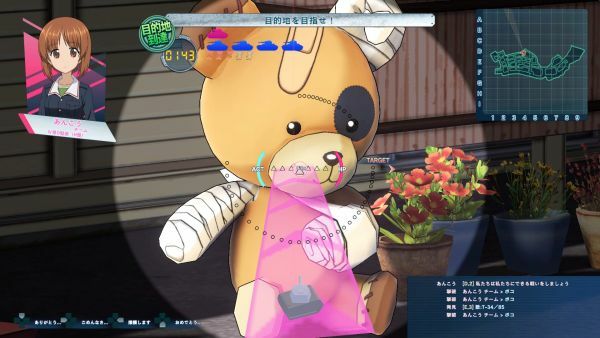 —Since your opponent is chosen at random, you can witness conversations with characters not often seen. 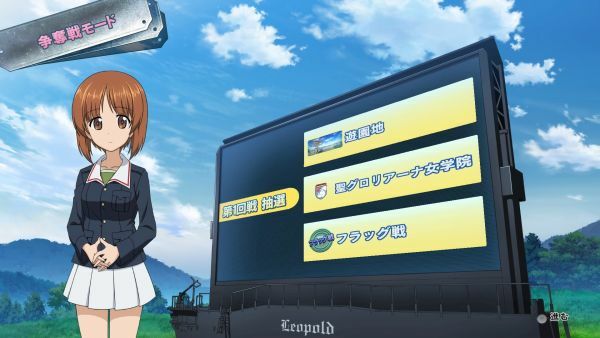 Choose your favorite school, then start the battle. Win through all five matches. The match location, opposing school, and rules are decided by lottery. Before the match, a conversation with the opposing school will play out. Enjoy combinations that can only been seen in the game! Win the match with the rules decided by the lottery. If you win, another conversation event with the opposing school will play out. There are conversation combinations for every school. 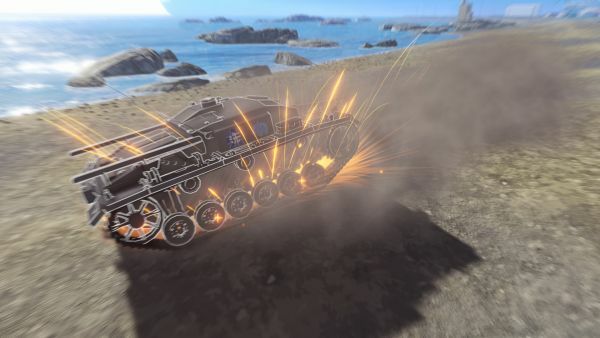 If you win all five matches, new tank(s) will be added to the Tank Storehouse, and you can enjoy reward images. 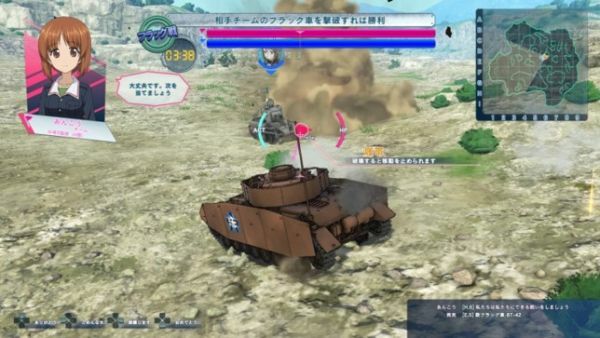 Annihilate the opposing school and destroy their flag tank. Continue going until you get to your destination without being destroyed. 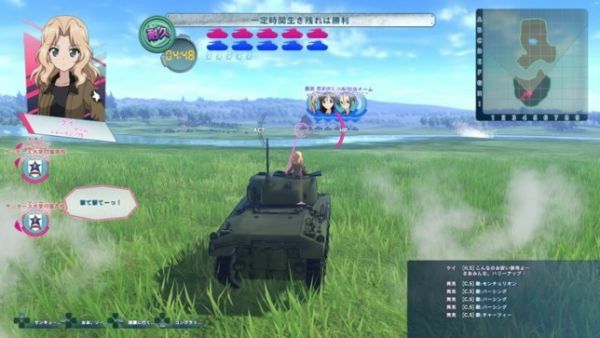 Skillfully avoid enemy tanks to make it to your goal. Endure against the enemy team without being destroyed. 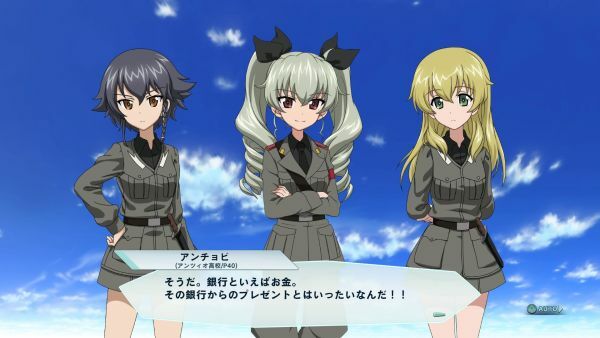 A one-versus-one battle against a formidable enemy from the opposing school. 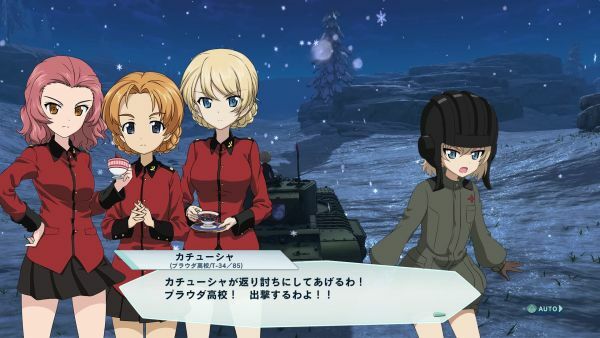 Your tank-handling techniques will be put to the test! Hidden Bokos can be found in stages. 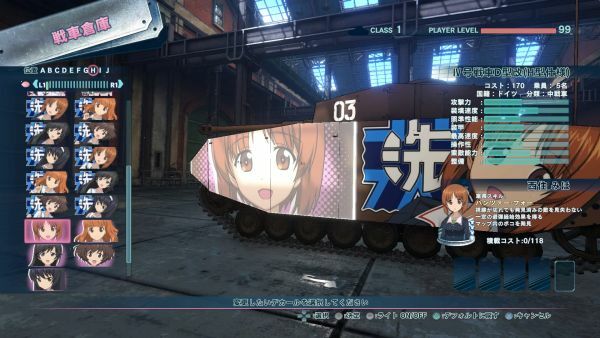 By shooting at the Boko, you can obtain a decal to customize your tank. 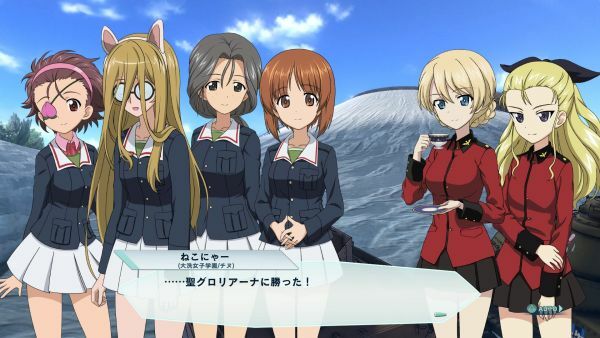 Various decals are being prepared, including character-based designs, simple numbers, and more. 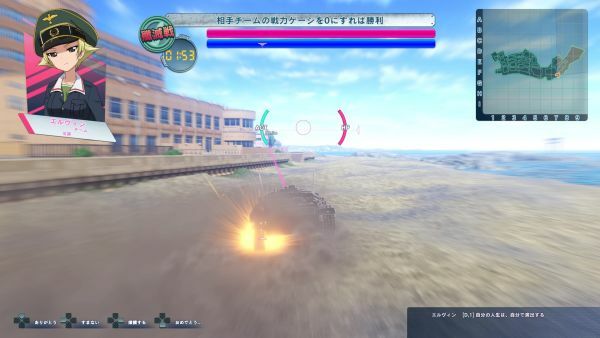 The tank actions of Girls und Panzer: Dream Tank Match are a reproduction of the actions that appear in the original work. 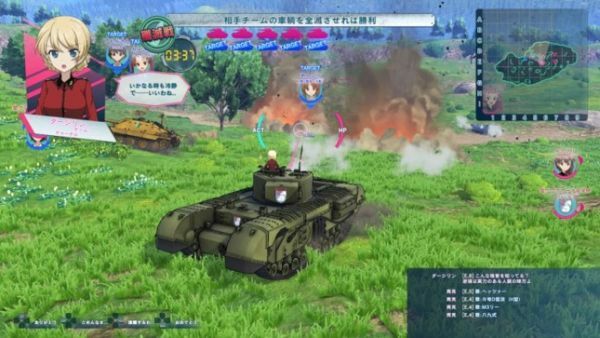 Each tank’s performance differs and operability is simple-yet-deep, allowing anyone to partake n Girls und Panzer-esque tank battles. 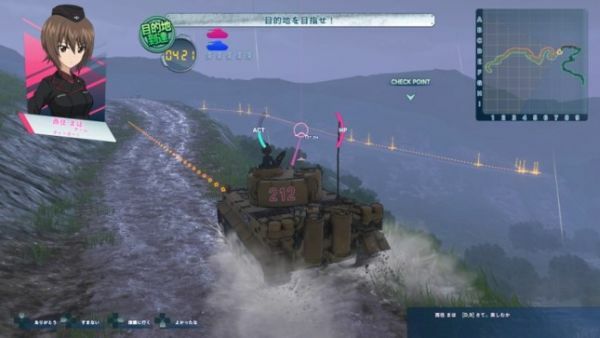 Since each tank’s performance differs, there are some low mobility heavy tanks that are unable to drift. 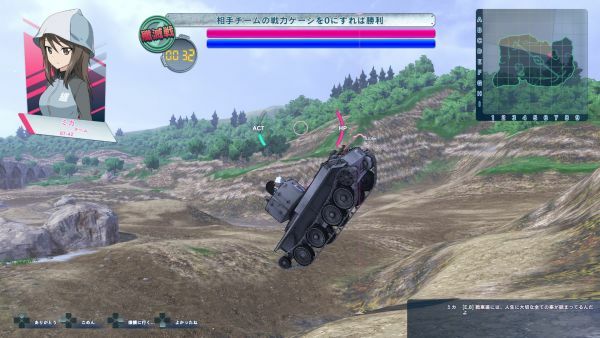 High mobility tanks such as the BT-42 can jump over fields with rough surfaces while driving. 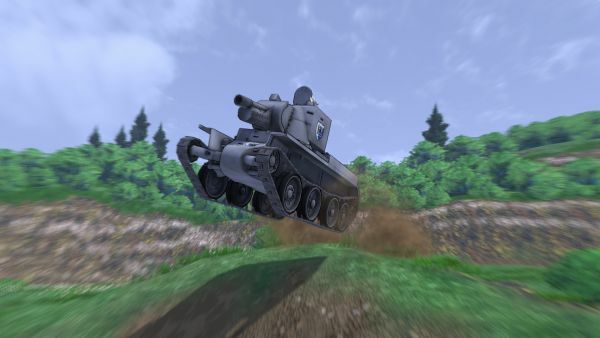 The CV33 Turn can be done by some tanks, such as the Sturmgeschutz III Ausf. 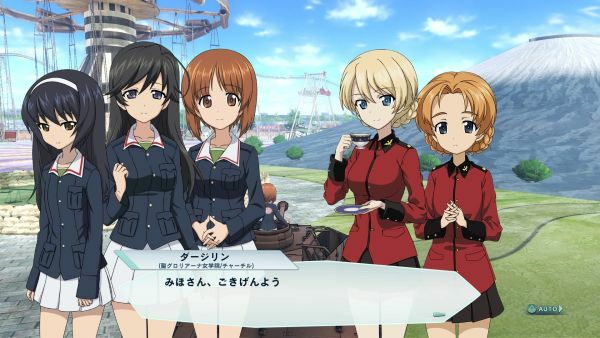 F and Hetzer. 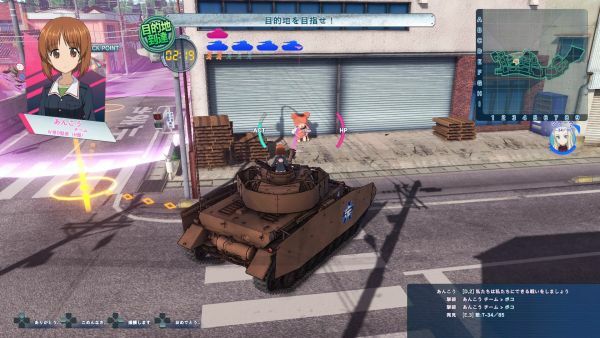 It is extremely effective for narrow alleyways or when pursuing an enemy tank. While drifting, tilt the left stick opposite the direction your moving to activate the turn. 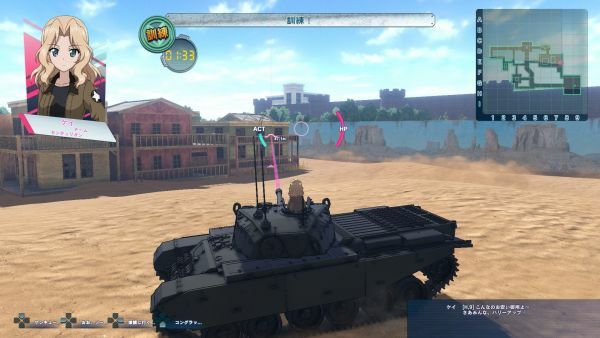 By using the rotating turret equipped to most tanks, you can fire outside the direction of movement. 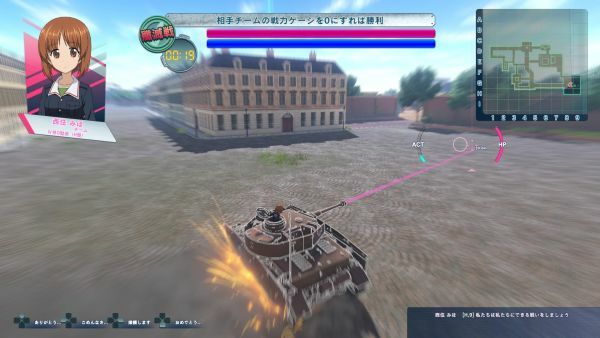 Since tanks such as Hetzer have a disadvantage in town areas due to their fixed turret, it is better to choose a tank with a rotating turret in those situations. 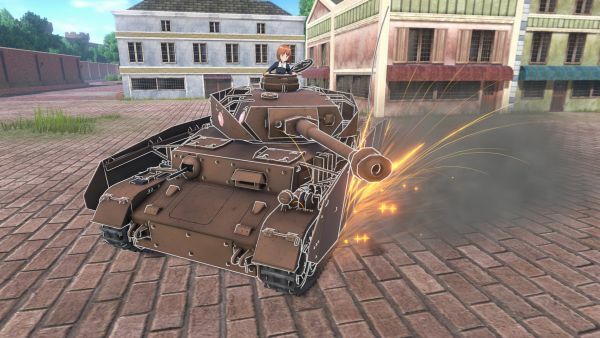 Depending on the tank (Centurion, Tiger, etc. 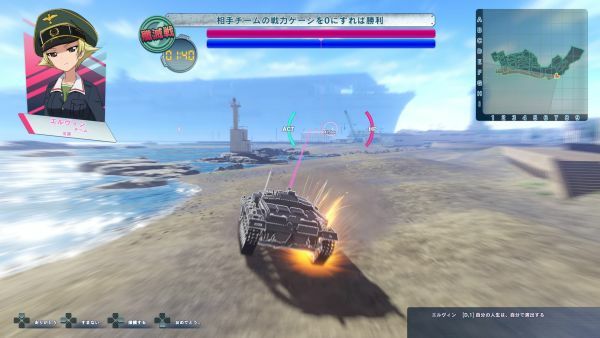 ), you can perform a fast-rotating spin turn.